The tone here suggests that we’ve passed the typical part of any story where everything falls apart for our main characters. Daenerys is in captivity, Cersei and Jaime are struggling for control, the North is firmly under the control of the Boltons, and one of our heroes is dead. 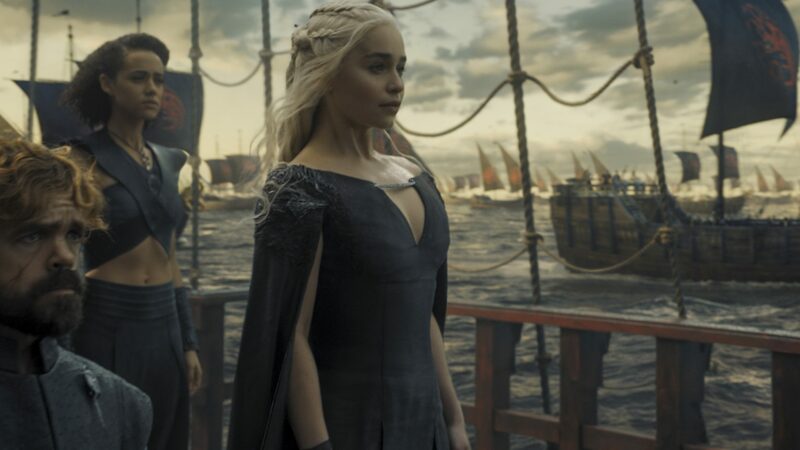 What comes next will hopefully be several marks above the transitional Season 5 that merged the two most recent books in A Song of Ice and Fire.